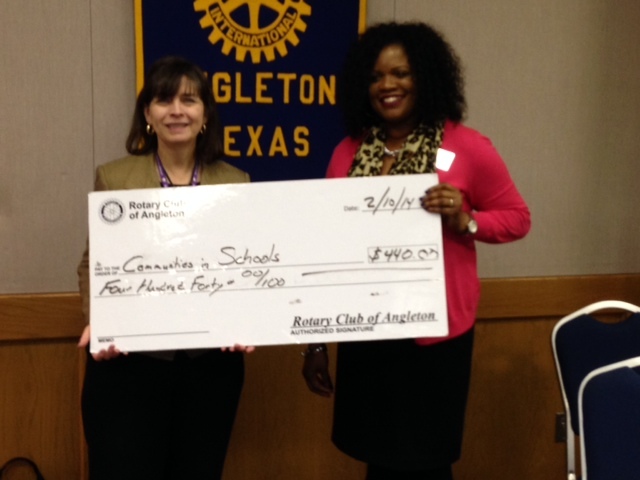 On 2/10/14 Dr. Pat Mongomery from the Angleton Rotary Club presented Ms. Cheryl Sellers, a Family Engagement Specialist a donation for the Communities In Schools ACE Program. Mark Soileau was named a Paul Harris Fellow. Rebecca Richards, daughter of Sara Richards, was named a Paul Harris Fellow. Our Club President, Yvonne Mintz, led our Club Assembly on Monday, July 18th. Reach Within to Embrace Humanity is Rotary's focus for the upcoming year. With this in mind, Rotary International President, Kalyan Banerjee, has requested each Rotarian smile at least two strangers every day. As a club we will also be looking into more "Hands On" service activities. Yvonne had us brainstorm ideas that would accomplish this. 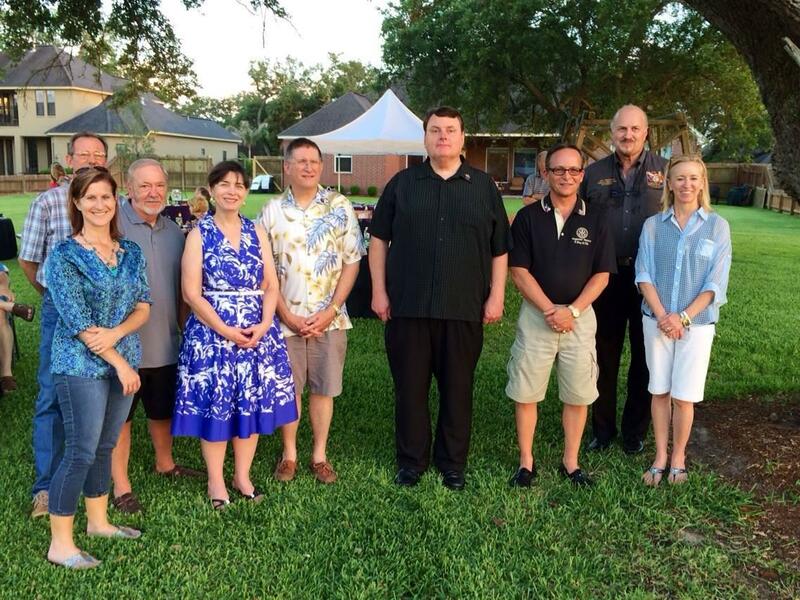 MONDAY, June 6, 2011 The Angleton Rotary Club made a $10,000 donation to the organization "Helping A Hero". The organization builds houses for disabled veterans. A home will be built for Spc. Brad Thomas in Jones Creek, TX. Brad suffered massive head trauma when an improvised explosive device blew up underneath the vehicle he was traveling in while deployed in Iraq. Pictured is Club President David Spence, Meredith Iler with "Helping A Hero" and Spc. Brad Thomas's father Rocky Thomas. February 28, 2011 Jackie Fuller, Director of Pregnancy Help Center and Safe Haven, received a $2100 donation from the Angleton Rotary Club. This money will be used to purchase infant CPR kits. 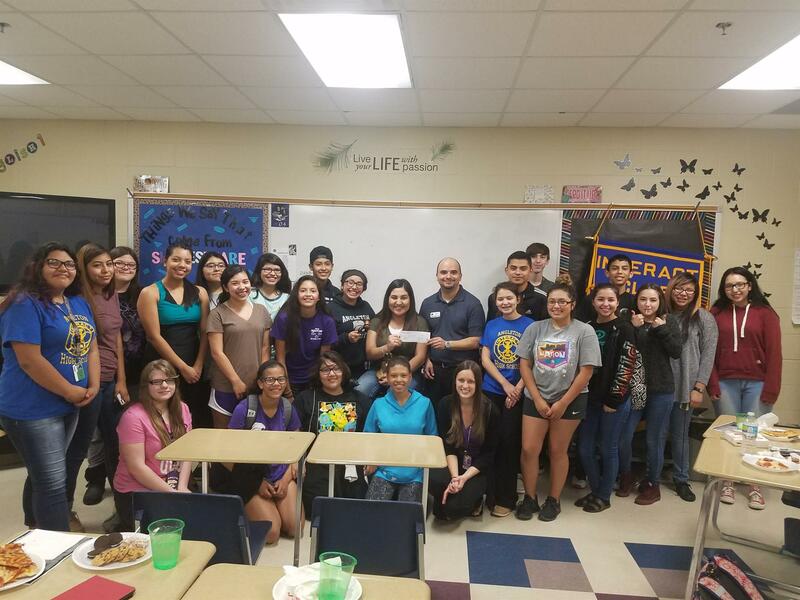 Angleton Rotary Club presented a $4000 check(made possible by a matching grant) to the "Guerrero Clinic" which will be used for the purchase of a filtration system for the clinics operating room. Walter Branson, who has been involved with the clinic in Chihuahua, Mexico since the 1980's, furnished us with both the history and future plans of the clinic. Rotarian Alfred Thane, left, recently completed the Angleton Rotary Club's annual ramp project, this year at the home of Barry Lamkin, center, in Angleton. Building wheelchair ramps for people in need is one of the club's annual services, said President David Spence, right. The ramp is the sixth built by the Rotary club. Angleton Rotary Club donated $2,000 to Champion Kids Camp located at Living Stones Church in Alvin, TX on August 9, 2010. Champion Kids Camp is a camp for special needs children. Pictured from left: AG Nick Giannone, President David Spence, Bill Nash of Champion Kids Camp and Rotarian Marc Holder. On Monday, August 16, 2010 Angleton Rotary Club presented Angleton ISD with 42 backpacks for local school children. Pictured from left: Steve Davis, Dr. Pat Montgomery, Club President David Spence, Club Service Officer Trey Picard, and Mark Comneck. 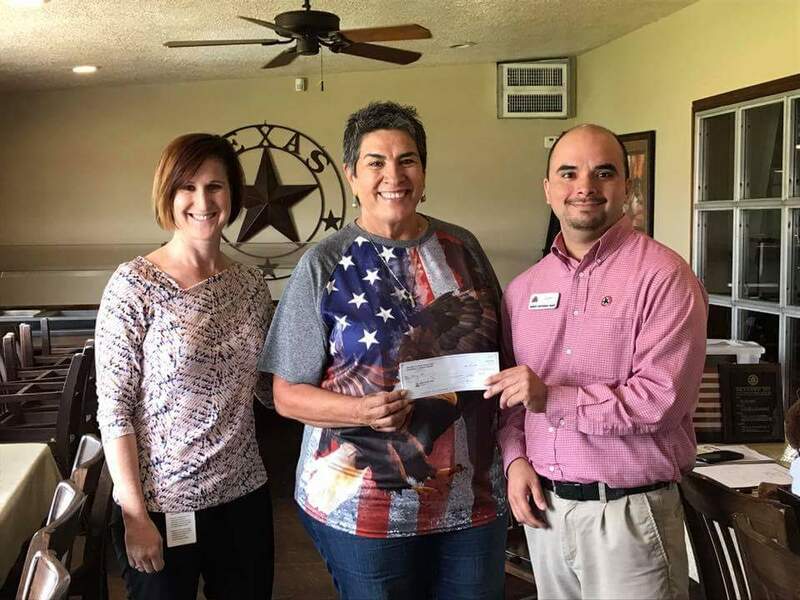 The Angleton Rotary Club donated $65,000 to the City of Angleton to install a playground system at Freedom Park. The playground has a capacity of 250 kids at a time and is only the third of its kind in the state of Texas. 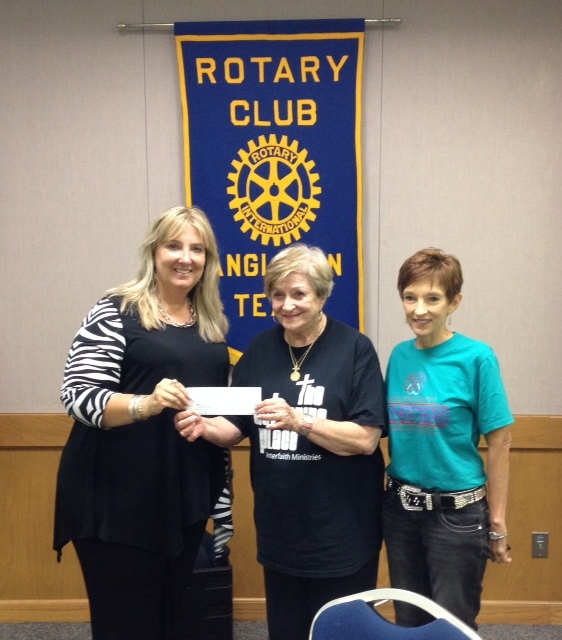 The Angleton Rotary Club has agreed to be the Title Sponsor for a Habitat for Humanity house. This will be house #68 and will be located on Ash Street in Angleton. Construction is scheduled to begin in March 2009. Subscribe to our eBulletin and stay up to date on the latest news and events. Click here to sign up!